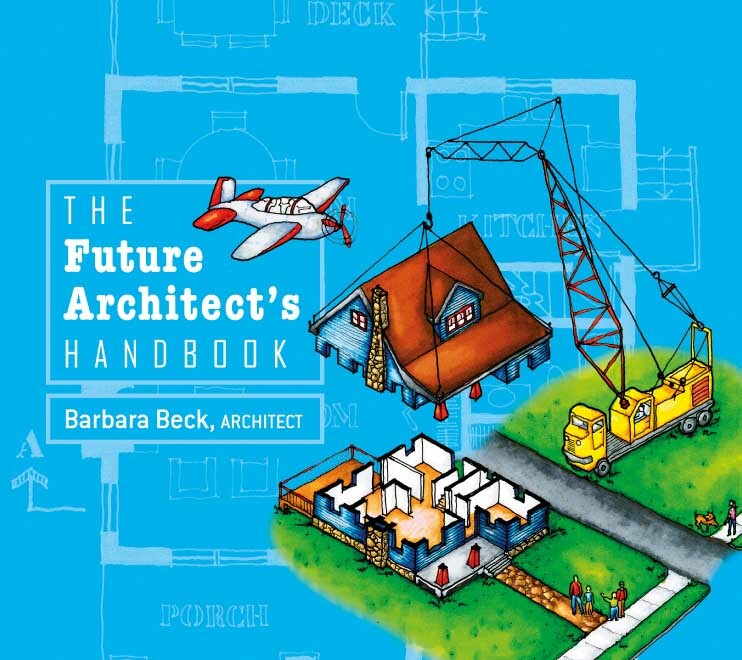 For children with a passion for drawing or dreams of creating buildings, this book explores how architects really work, taking the young reader through the entire process for planning and designing a house. 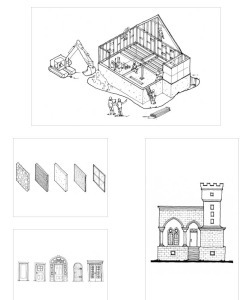 Learn about design techniques, building components, and architectural styles. 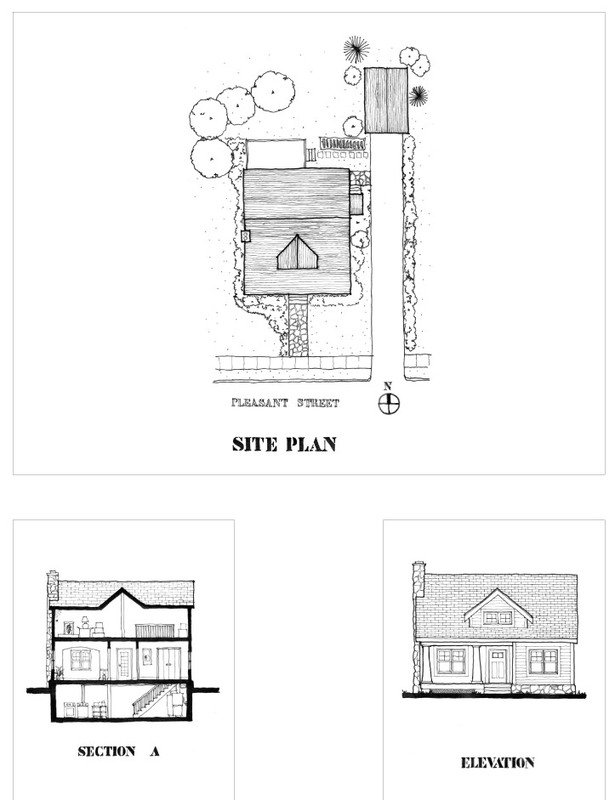 Study Aaron the Architect’s drawings for his own house – the same four drawings every architect uses: the Site Plan, Floor Plan, Section, and Elevation, explained in the book with freehand pen and ink drawings. Aaron the architect is named after an architect I worked with in St. Louis. 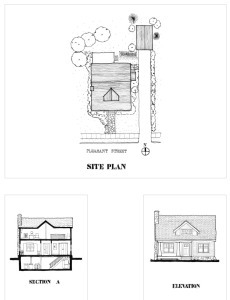 Aaron’s house is based on a cottage we designed. The real life Aaron does not have a dog named Artemis, but he should. I really like that name. 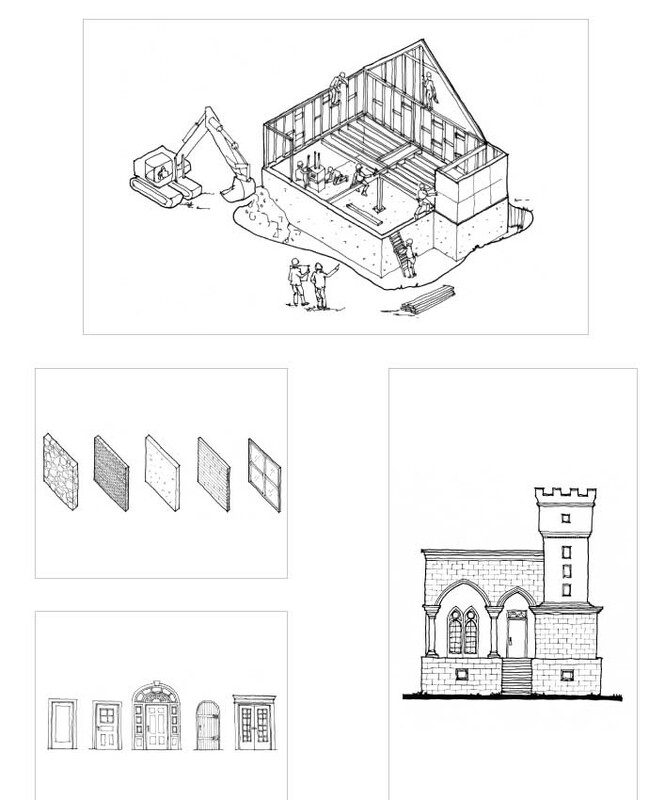 B4UBUILD.com – Site with building and construction books for children, from New Yankee Workshop for Children to David Macaulay publications. CUBE, the Center for Understanding the Built Environment – Ginny Graves, an Honorary Member of the American Institute of Architects for her work with children and founder of CUBE, continues to produce outstanding curriculum and activities, including Box City and Walk Around the Block, for all age groups. Salvadori Center – The Salvadori Center shows students the relevance of math and science using the buildings, bridges, landmarks, and parks in their local communities. Career Aisle – A collaborative effort of guidance staff, teachers, family members, and community partners. These resources have been created to enhance the career guidance and counseling efforts in grades K-12. The resources are provided to assist with career awareness, career exploration, and career preparation of students with the objective of facilitating a successful transition into post-secondary opportunities and the 21st century global workplace. Architect Studio 3D – One of the Frank Lloyd Wright Preservation Trust’s most popular programs is the Youth Architecture Workshop, held every summer in the drafting room of Wright’s first studio in Oak Park, Illinois. 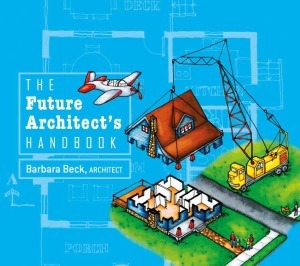 Young people in grades 7 through 12 learn architectural and design principles as they create their own buildings and get acquainted with the ideas of one of the world’s most influential architects. With Architect Studio 3D, the Preservation Trust brings to young architects everywhere the exciting process of designing a home — hands-on.